Chainsaws and Jelly: Event | F*ck What You Heard. 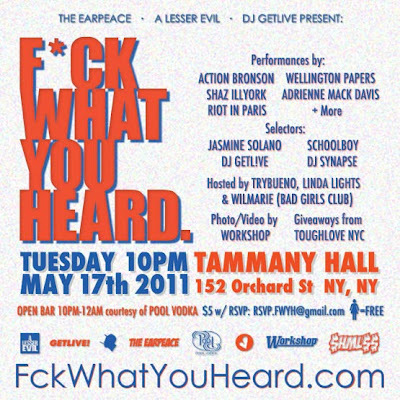 Event | F*ck What You Heard. Gonna try to make this tomorrow to see my loves over at Tough Love NYC and of course, to see our girl, Wilmarie, host!